I'm using Lightroom Mobile on iOS with an iPhone 7 to shoot raw / DNG images. Before applying the first adjustment, the app displays the photos exactly like they were taken. As soon as I move any slider, colors and lighting change dramatically. It doesn't matter if I actually change a value, just moving a slider is enough. Furthermore exporting DNG images to jpg without any changes also shows the same behaviour. The jpg images look much darker and have very different colors than what the app displays. It would be great if it was possible to somehow preserve the great overall quality the images already have right after taking them. To enable faster previews of raw files, cameras (DSLRs, mirrorless, and now camera phones) embed a JPEG preview into the raw so that everyone (cameras, apps, etc.) can display the photo quickly. 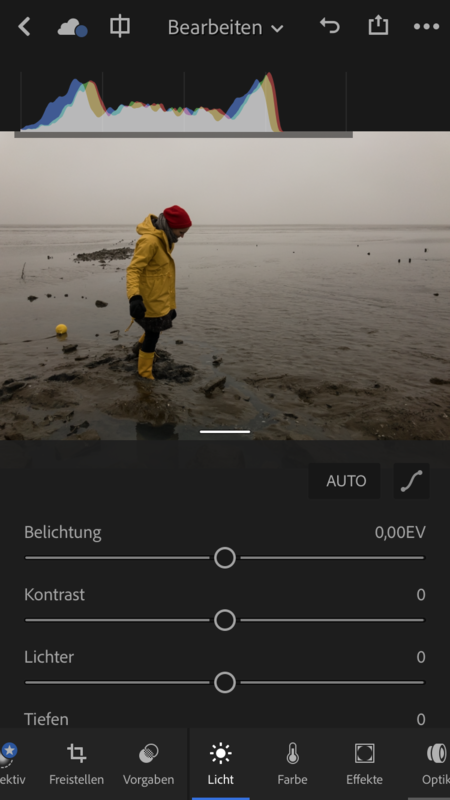 Until you actually have need to render the raw file, Lightroom for mobile displays the phone-rendered JPEG to save on limited phone resources. Sliding the slider or initiating export causes the DNG file rendering to occur and accounts for the shift you are seeing. We are looking into ways to make this experience better in the future. Hello Rikk! thanks for the quick reply. That's an explanation I can live with. By now I figured out how to adjust lighting, color and white balance settings to get approximately the same result as the phone-rendered preview. Just to be clear: despite this little shortcoming LR mobile is still one of the best raw-capable camera apps I have used on iOS so far. 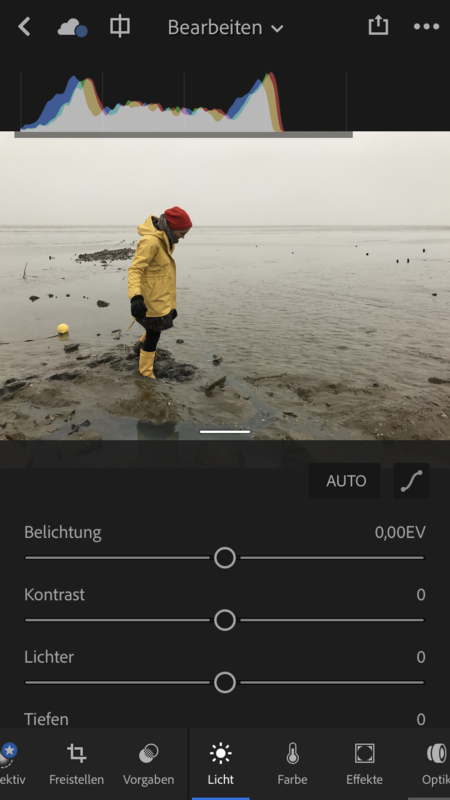 If some time in the future the DNG rendering algorithm can be tweaked in such a way that images look as natural out of the box as they do with the internal iOS algorithm, it will be hard to beat by anything else in the app store. I have the same problem with RAW photos taken on my iPhone with the LR mobile app. Your explanation seems strange at first, because usually the embedded JPG is more saturated than the RAW file, but here it is the other way round: The rendered DNG is more saturated than the embedded JPG, often to the point where it is unusable (oversaturated, especially red tones). I think I found out why. When I look at these DNGs in Lightroom on the desktop, there is an easy way to remove these oversaturated colors: just choose "Adobe Standard" instead of "Camera Default" in the "Camera Calibration" panel. So it is a question of which Calibration is applied on rendering. I can change this on the desktop, but not within Lightroom mobile. So ideally Lightroom mobile should also give us the choice of which Calibration setting should be applied on rendering of iPhone DNGs. Or maybe even a preference setting to apply "Adobe Standard" as a default when rendering iPhone DNGs. Thought I’d attach another case of this as my experience has been a DRASTIC difference between the photos. Is it forcing some sort of HDR image for the jpeg preview? I’m confused what’s happening. iPhone 7 Plus btw.